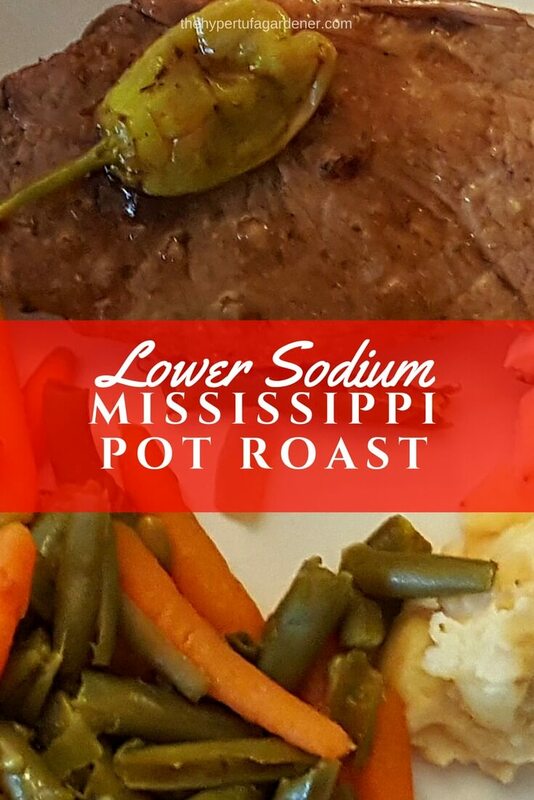 Looking for a Lower Sodium Mississippi Pot Roast? Here you go! Mississippi Pot Roast is the most scrumptious dinner to cook for all us Meat Lovers at my house. We love meats so you can understand that a good beef roast is my go-to meal. And there are some great recipes out there , especially this Mississippi Pot Roast, but you know what our main complaint for this one is? Too salty! Great flavors but SO salty. I tried to find who originated the recipe and this was the info I found. 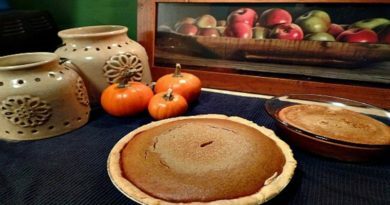 Robin Chapman had published the recipe and it was picked up by the Internet and Pinterest and also ended up on ABC news. But fear not, I have experimented and worked it out for you! I have a Lower Sodium Mississippi Pot Roast recipe which is just as easy but without the larger amount of sodium. That original recipe is delicious but just has too much sodium for me. 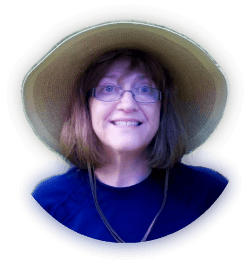 Be sure to check out all my easy recipes . 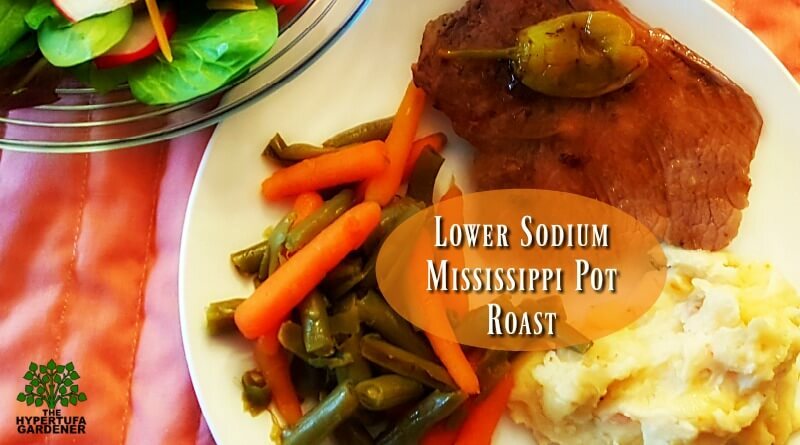 Lower Sodium Mississippi Pot Roast is Better for you! Here in our house, we are not on a low sodium diet. However we like to keep an eye on the amount of sodium we eat since it is a factor in high blood pressure, water retention and hard on your kidneys. See this page for references to sodium’s affect on the body. The recommended amount per day is between 1500 mg (considered adequate intake) and 2300 mg (upper amount) for people 9 -50 years of age. I prefer the taste of lower sodium foods. I just can’t take salty chips and pretzels. Don’t get me wrong. I must have salt on potatoes…..and it is a MUST on eggs. Some things you just have to have it. But without even tasting food, I see many people sit down in front of a plate of food and start shaking a salt shaker over the food until it looks like a snow day in Boston! It’s just too much. We can’t teach our kids to salt their food before they even know what the taste should be. I remember when I was a kid and we ate watermelon and cantaloupe and the adults all passed around the salt shaker and just went to town! Did they know what a tomato tastes like without it? Now I guess I am a bit biased because I don’t eat tomatoes except for a slice on a sandwich or even diced in some dishes. So am I missing something? Would I just love a fresh picked and salted tomato? I think not. How do you eat yours? For my Lower Sodium Mississippi Pot Roast, I substitute the consomme for the packet of Au Jus. As you can see from the image above, the savings in sodium is substantial. I only use about 1 cup of the consomme and add pepper, garlic powder and onion powder to mimic the taste of the Au Jus. Works for me! I was shocked when I saw the total amounts of sodium in the Mississippi Pot Roast made with the original recipe. No wonder it tasted so salty! 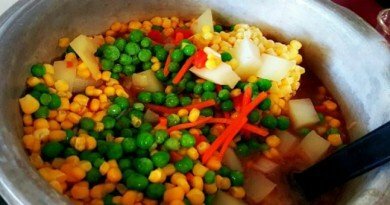 I once cooked potatoes and carrots in it since we love our vegetables cooked that way along with the meat, but I had to throw them out. They were not edible! I mean not just too salty, they were inedible! 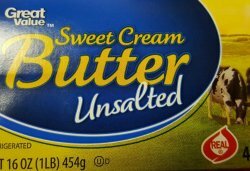 Also the original recipe that I found did not call for unsalted butter but I think it is best to use the unsalted variety. The amount of sodium in the butter is approximately 90mg per Tbsp or 720 mg for the whole stick. 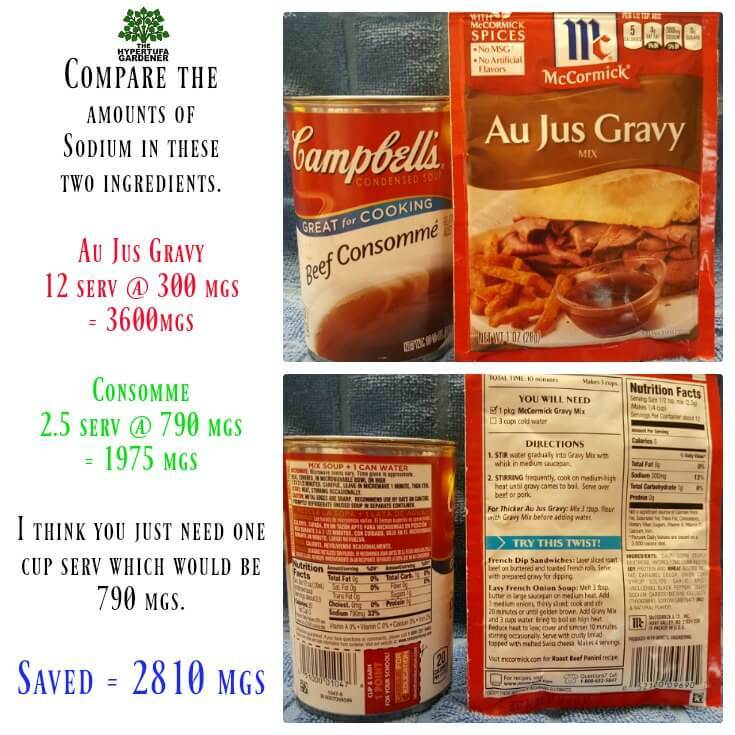 This is small compared to the sodium amounts in the packaged Au Jus mix but if we are avoiding sodium, I think this is the better alternative. In my opinion, a half stick of butter is just fine. The flavor is there but not as much fat. An Alternative for Hidden Valley Mix ? I have seen several recipes for making up the Hidden Valley Ranch Dip with your own spices and that sounds like a reasonable thing to do. I have not tried that yet, but I have found an alternative solution which cuts the sodium by half but still gives you the flavor. This is Kraft Thick & Creamy Ranch Anything Dressing Mix. 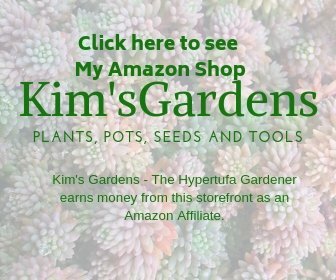 This is through my affiliate link but it is much cheaper just to pick it up at your local grocery. I just wanted you to see what it looks like. This Lower Sodium Mississippi Pot Roast is very good and so easy to make in your slow cooker, but I just have to have this less salty version. 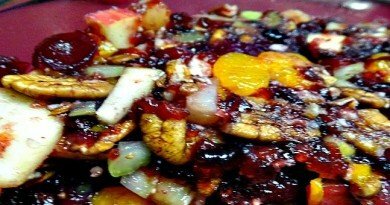 Try the recipe and you can make your own judgement. The roast is great as a main dish for the meal. I had mashed potatoes and my home canned green beans and carrots and served it with a salad. Iced tea is a must for my dinners. See what you think. The gravy that forms from the meat drippings is excellent to pour on the potatoes. My son says he can drink it with a straw, it’s that good! Line your Slow Cooker with a liner. Place beef roast into cooker. Add black pepper, garlic,onion powder and mix thoroughly. Place peppers on top of roast. Place butter on top of roast. Cover and cook for approx 3-4 hours on high until temperature reached. Broth that forms is great for gravy. Slice and serve. You can also shred and serve on bread for sandwiches with the broth as a dip. 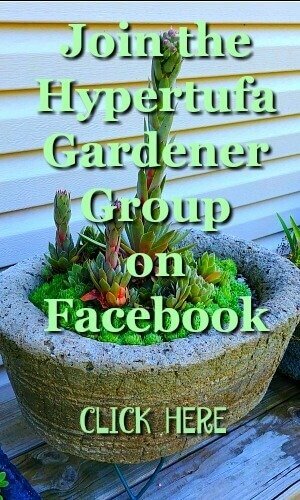 ← Ready to Make LARGE Hypertufa Troughs! 30 Minutes To Quick Beef Stew for Dinner!